During my 3-month stint on-site with Facebook early last year, I had the chance to meet and work with filmmaker and motion designer, Nate Salciccioli. Nate had come down from Oregon and we were working on a few of the same projects. The guy has crazy skills in both film/motion and traditional design. I was excited to get to work on his personal identity system this past year. 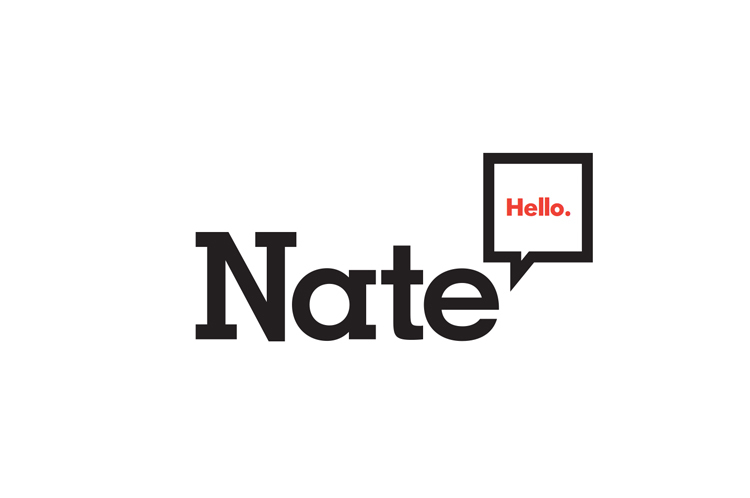 The entire system was built around his site moniker, "Nate Says Hello." This was a way for people to quickly remember his URL and work around his intimidating last name. The speech window became a metaphor for Nate as a filmmaker to offer his unique point of view, and being a skilled designer himself, set him up to use the identity as a creative platform in print and motion. A flexible system of primary and secondary marks. The speech bubble could expand and shrink and became a place to express a variety of ideas. 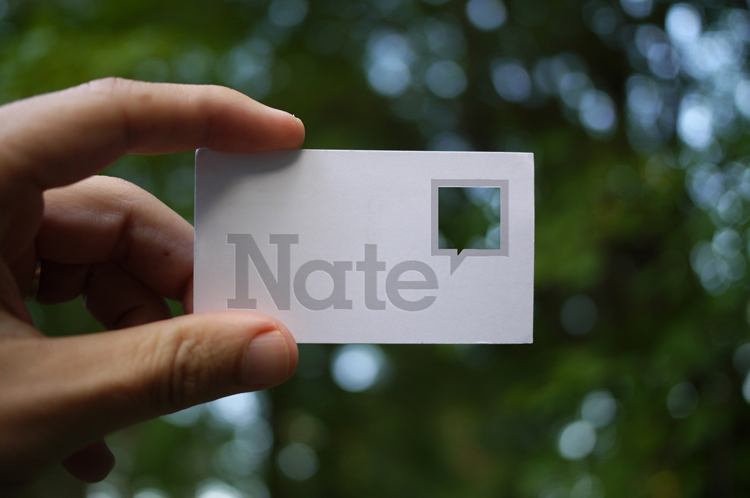 Business card carrying over the idea of Nate's point of view.